Firmware update 1.08 includes the following features. This firmware update is also included in the C Scottish Smallpipes download. This firmware update also prepares your Digital Chanter to accept additional instrument sound banks. By downloading, you acknowledge and accept agreement of terms as specified at www.blairbagpipes.com/useofsoftware. By downloading you agree that software downloaded from the http://www.blairbagpipes.com web site is provided 'as is' without warranty of any kind, either express or implied, including, but not limited to, the implied warranties of fitness for a purpose, or the warranty of non-infringement. Without limiting the foregoing, the Blair Bagpipes makes no warranty that: – the software will meet your requirements – the software will be uninterrupted, timely, secure or error-free – the quality of the software will meet your expectations – Any errors in the software obtained from the http://www.blairbagpipes.com web site will be corrected. Software and its documentation made available on the http://www.blairbagpipes.com web site: may include technical or other mistakes, inaccuracies or typographical errors. http://www.blairbagpipes.com may make changes to the software or documentation made available on its web site. 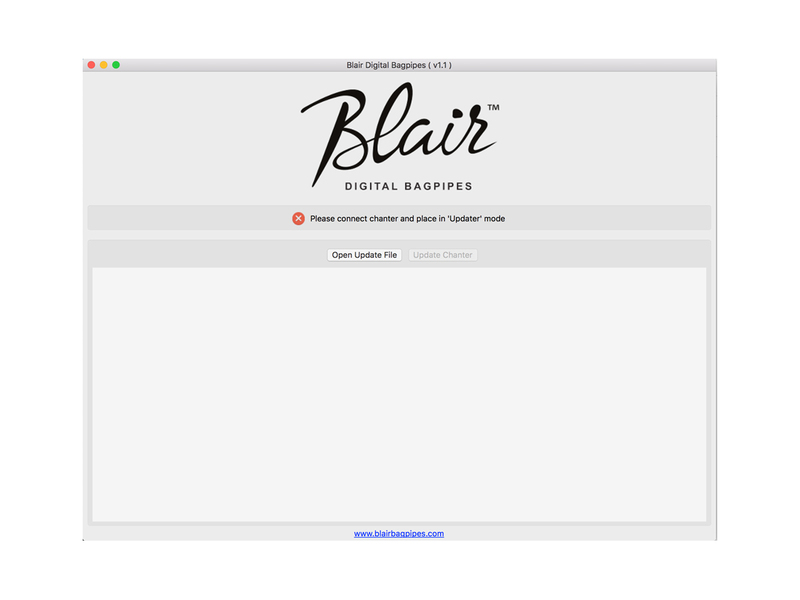 http://www.blairbagpipes.com assumes no responsibility for errors or omissions in the software or documentation available from its web site. In no event shall the http://www.blairbagpipes.com be liable to you or any third parties for any special, punitive, incidental, indirect or consequential damages of any kind, or any damages whatsoever, including, without limitation, those resulting from loss of use, data or profits, whether or not http://www.blairbagpipes.com has been advised of the possibility of such damages, and on any theory of liability, arising out of or in connection with the use of this software. 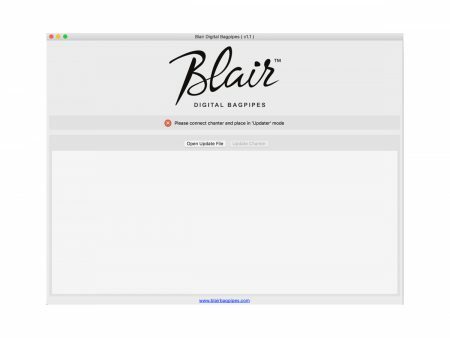 The use of the software downloaded through the http://www.blairbagpipes.com site is done at your own discretion and risk and with agreement that you will be solely responsible for any damage to your computer system or loss of data that results from such activities. No advice or information, whether oral or written, obtained by you from http://www.blairbagpipes.com from the http://www.blairbagpipes.com web site shall create any warranty for the software.